New tools are being introduced and adopted at a dizzying speed and to varying degrees of success. Many of these tools are open source and low cost which makes them very appealing for use in innovation activities. However, selecting, training and working with new tools and incorporating them into your organization can be extremely challenging. Understanding this, we keep track of new innovative tools and can help you to select and utilize them in your business, but only when they are truly necessary and help you and your teams to gain insights, increase efficiency and deliver more effectively. 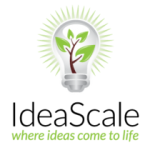 Innovate together, IdeaScale is an innovation management platform that uses crowdsourcing to help you find and develop the next big idea. Share, collaborate, evaluate and prioritize your ideas. We have worked with this tool with various clients and it works. It’s an effective and low cost method to manage ideas whether it be from small idea gathering projects to large scale competitions with thousands of users – both internal and external. We just love it and have a team ready to help you to utilize it. Every business needs a business model and there are many different tools out there. One of the most well known is the business model canvas. We use this in our programs when we are working with teams who have already received and initial round of funding after using the Idea Canvas below. In our experience the business model canvas is an exceptional tool for people who are in the business of innovation, however, it doesn’t suit all purposes and not all teams will understand how to use it. Before you even start with the Busienss Model canvas we suggest you use our own proprietary Idea Canvas with 14 questions that will help you to address all the key ingredients for your business. This tool can be used to effectively in both startup and large organization settings and helps to articulate your idea in normal language while hitting the key aspects of your idea. It’s easy to use and with our coaching will help to determine where more work is needed. It is also perfectly suitable for first round presentations to stakeholders. 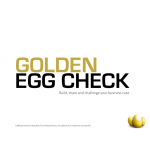 The Golden Egg Check is an easy-to-use online toolset to challenge, improve and accelerate new business within startup and established companies. By offering complementary services it boosts your capabilities and connect you with potential investors.